An internal innovation platform that facilitates communication and prioritisation of ideas. Why community based personalised healthcare? This personalised healthcare platform enables healthcare professionals to access patient data in real time and interpret that data to formulate specific therapeutic strategies for their patients. During therapy outcomes are continuously evaluated to benchmark efficacy and create feedback to enhance future treatment. The platform is able to efficiently share information with all healthcare stakeholders and encourages innovative problem solving. Additionally, community schools and hospitals will be able to work with Anatomics to promote learning and value-based healthcare outcomes. Community based personalised healthcare is a new way of thinking about the delivery of healthcare. Anatomics wants to deliver healthcare to communities that is relevant to those communities. We want to enable doctors, students, and healthcare providers to be interactive in their daily work and educational pursuits. No two people are the same and mass-produced products don't suit everybody. Anatomics is planning the introduction of disruptive and enabling technology into hospitals and schools to let people make things that are medically relevant and therapeutic to individuals, and to let them create solutions that are useful for them. AnatomicsRx enables creativity in the community. We want healthcare professionals to design things and make things that are relevant to their practices. And we want schools and universities to use this information, to create ideas and to share those ideas with people all around the world. In a digitally connected world, communities can benefit now in a way that they never could before. Mr Paul S. D'Urso, Founder and Executive Chairman of Anatomics. Anatomics is a medical technology company that has been manufacturing high-quality medical devices, prosthetics and software solutions since 1996. Anatomics pioneered CT scan derived surgical implant technology and was first to market with innovative, quality products that assisted surgeons to produce better surgical outcomes and, importantly, more efficiently. Read our latest news from us and around the globe. Anatomics was this week announced as a flagship project as part of the Federal Government's $35 million BioMedTech Horizons fund program. The 200 Businesses of Tomorrow were chosen from almost 2000 applications nationally. They represent the diversity of Australia ? large and small, new and established, across all industries and sectors. Successful businesses, driving a successful Australia. Paul d'Urso admits this, but not many of his peers unwind like he does: running medical technology company Anatomics, which has developed state-of-the-art, patient-specific implants and prostheses, as well as software that facilitates their design and 3D-printing.D'Urso estimates that he works 50 hours a week as a neurosurgeon and 50 hours a week running Anatomics, six days a week. "I believe in what I'm doing. I've always thought that it's part of my job as a doctor to make things better for my patients," he says. 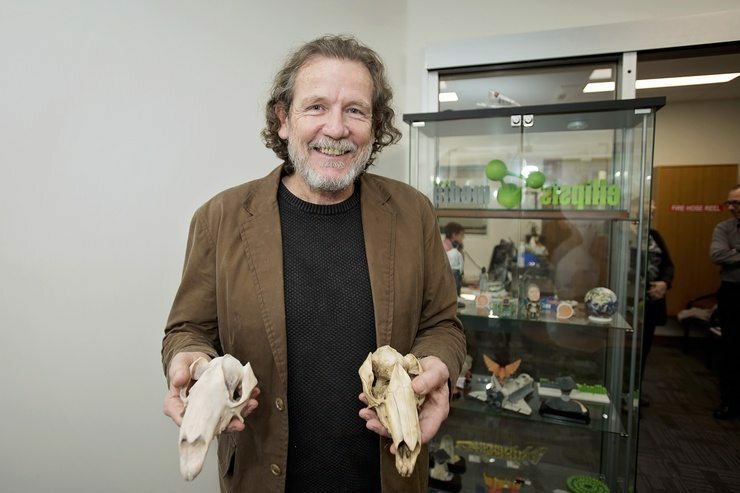 Neurosurgeon Paul Dâ€™Urso, now executive chairman of the company, first became fascinated with the idea of linking medical imaging with 3-D printing in 1991, when he came across one of only two early 3-D printers available in Australia. We assist medical professionals to deliver quality personalised care to patients. Anatomics is integrating distributed manufacturing into hospitals, universities and schools. Healthcare professionals can now improve patient outcomes, create efficiency, reduce waste, and produce sustainable value-based outcomes. Anatomics work with patients, government, and insurers to ensure that a cost effective and sustainable healthcare system is affordable and available to all people. We assist schools and universities to teach skills and create ideas to improve healthcare. Solutions is a 'therapeutic workflow portal' that allows doctors to plan, design and order manufactured patient specific therapy. This may be surgical devices, prosthetics, drugs and biologics. Such products may be additively or mass manufactured..
Synchronicity uses data from implantable and wearable devices to formulate therapeutic interventions and to remotely monitor patients. Diversity houses an interactive library of digital case studies and solutions. Metrics provides guiding metrics to show what works. Hospitals, insurers, government and healthcare professionals can use Metrics to determine best practices, and to develop better practices. Serendipity an internal innovation platform that facilitates creativity, communication and prioritisation of ideas. 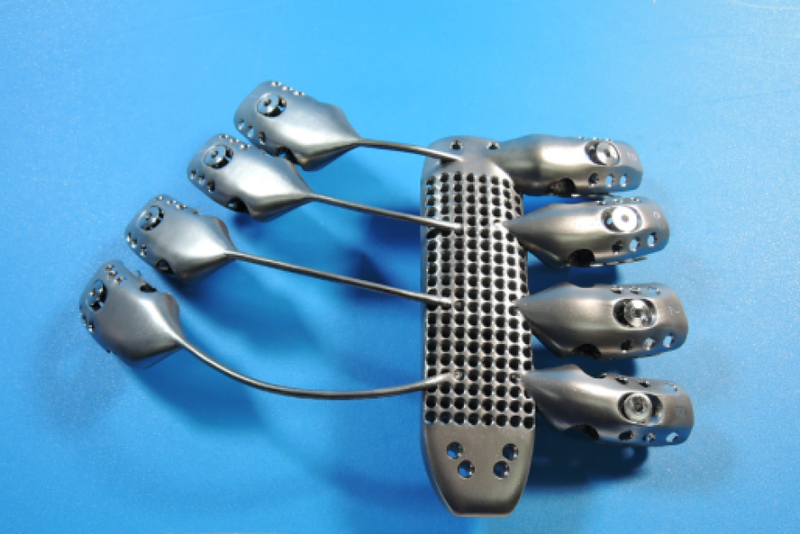 In what has been described as a UK first, a man from Studley in Warwickshire has been given a custom-built 3D printed titanium sternum and ribs after having part of his own removed. A 3D bio-scan code allowing the shaping of exact replicas of the famous Hobbit skull, which was less than half the size of modern humans, is being undertaken by Wesley College students. Good bye Titanium, hello bone? Researchers at AMBER in Ireland have successfully 3D printed various bio-materials including cartilage and adult stem cells and matured the part in the patient's body, creating a bone part ready for implanting. The aim is to replace Titanium for implants with the patient's own bone. 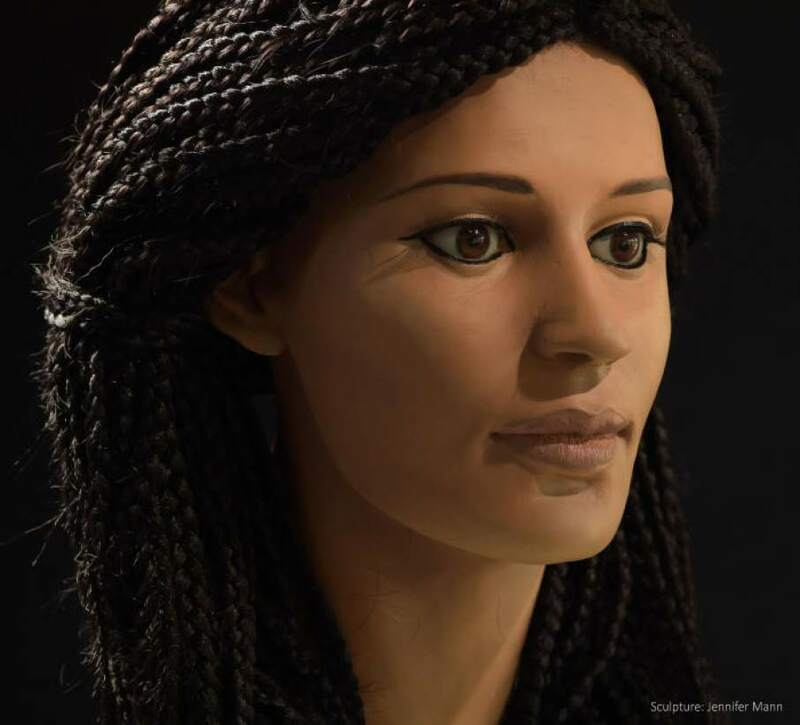 A joint effort between the University of Melbourne?s Faculty of Medicine, Dentistry and Health Sciences, medical researchers, forensic scientists, 3D printing experts, Egyptologists and a sculptor, Meritamun, an 18 to 25-year-old Egyptian woman believed to have lived at least 2000 years ago, received a complete facial restoration thanks to a 3D printed model of her ancient skull. Aimed squarely at the education space, ULIO (due to launch on Indigogo 9th August 2016). By maximizing the amount of 3D printed parts, they aim to optimize the appeal of 3D printing itself. "At ULIO 3D we love helping passionate teachers get involved in 3D printing and achieve amazing things. We would like to share our passion by helping you 3D print colorful, upgradeable, affordable and easy to assemble 3D printers for your students," the ULIO team said. Australia's University of Southern Queensland has announced an exciting new addition to its archeology curriculum. Archeology students at USQ can now work with full-colour 3D replica specimens. This not only makes otherwise delicate specimens available to the students, it also allows off-campus students to get the same experience of handling the specimens. Toddler Maia Van Mulligan was born with just one ear, but thanks to world-first Queensland research she could soon be fitted with a 3D printed one. The QUT research team is also working on a long-term project, to create an anatomically correct ear that would be 3D printed using the child's own cartilage cells. 3Dprinting has revolutionized almost all the industry and has saved many lives with 3D printed implants made from medical imaging. A team of Danish researchers from Aarhus University are demonstrating the potential for a simple desktop 3D printer to increase the understanding of the anatomy of not only humans but also that of animals and incomplete fossils. 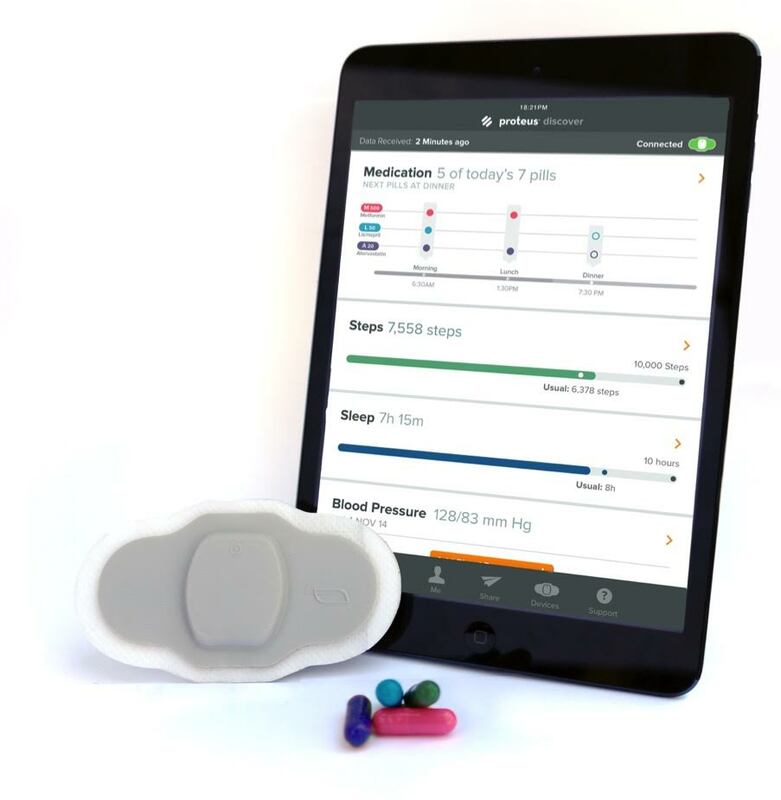 Proteus Discover, a medication management system that utilises sensor-enabled ingestible pills, a peel-and-stick biometric sensor patch and smartphone apps have had their ingestible sensor component secured FDA clearance in July 2012, following on from their sensor-laden patch receiving FDA clearance in 2010. NovaCast is a device that prevents infections, ulcers and even amputation of limbs, is ten times lighter than the traditional material and allows a good ventilation. A man from Israel has become one of the first people in the country to receive a 3D printed jaw prosthetic. Surgeons at the Baruch Padeh Medical Center and 3D printer A.B. Dental made the custom titanium implant for the patient and dramatically reduced operation and recovery time and significantly improving post-surgery outcomes. RESTORATION, an European research project, has developed new resorbable bioceramic materials that can be used for mandible, vertebrae and knees. In what is being touted as a world first, surgeons have replaced two cancerous vertebrae in a patient's neck with 3D-printed replacement bones. An adolescent girl has been given 3D printed tracheal splints to treat a congenital breathing condition called tracheobronchomalacia (TBM). Staff at the University of Michigan used an EOS 3D printer and a biomaterial called Polycaprolactone (PCL) to make the splints. Providers are deeply worried that an imperfect understanding of quality measures and lackluster data analytics capabilities may hamper their switch to value-based care. 'You can't manage what you can't measure,' data analytics pros are prone to say, and nowhere is the phrase more appropriate than when discussing the healthcare industry's transition to value-based care. When four-month-old Lucy Boucher needed a kidney transplant, the transplant surgeons' challenge was figuring out how to fit an adult kidney in an infant. Realistic models were essential to the procedure's success. Lucy story is only a tiny part of a revolution in the making. The medical uses of 3D technology could be the killer app that, ironically, saves lives and saves the industry. 'There's a huge buzz around 3D printing now,' D'Urso says. "But back in 1991 people had never heard of it. The Queensland government had bought one of the first stereolithography 3D printers, around the same time 3D medical imaging was taking off. I wondered if you could connect up 3D printing and 3D imaging technology to print out models of organs or bones." 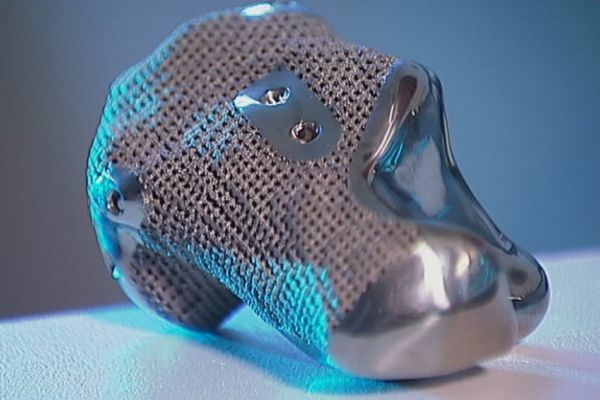 Lab 22 at Australia's CSIRO has added to the growing list of 3D-printed medical implants by designing and printing a replacement titanium sternum and rib cage for a 54-year-old cancer patient. 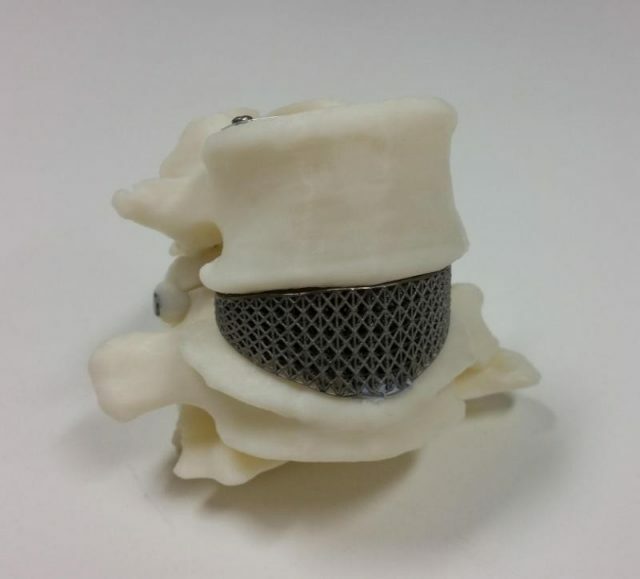 RMIT University in Melbourne has worked with a medical device company and a neurosurgeon to successfully create a 3D printed vertebral cage for a patient with severe back pain. An ankle created using a 3D printer has replaced a cancer victim's joint in a world-first operation that many are suggesting is just the beginning of a medical technology revolution. Anatomics provides custom products that help surgeons do their job, and exports to 20 countries. In the second installment of our five-part series, Robert Thompson talks to Brent Balinski about how the company responds to its market's need, a '3D printed' skull implant, and a recent successful collaboration with CSIRO. Faster and faster and better and better, or faster and faster and worse and worse. These are the only two pathways into the future for Australia's public hospital system.